From festivals and food to concerts and community fundraisers, these are the top events in the City of London for 6 to 19 June 2018. The City calendar is always full to bursting with things to see, do and experience each week. From festivals and food to concerts and community fundraisers, these are the top events in the City of London for 6 to 19 June 2018. Each year the streets of the City are transformed into a high octane race circuit as cyclists from Penny Farthing riders to Olympic champions race through the day and into the night in the world’s premier city cycle race. Enjoy the party atmosphere with food, drinks and live music to entertain all the family. 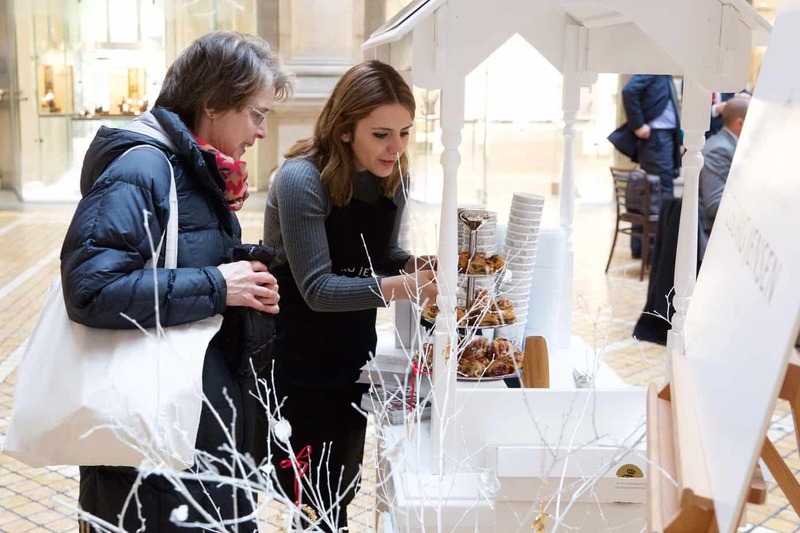 The Royal Exchange is welcoming the warmer weather with a series of summer pop-up events each Wednesday throughout June and July. Enjoy a drink and a Danish from design house Georg Jensen, a complimentary eye test and special prize draw with Tom Davies bespoke eyewear, sample summer-inspired truffles from chocolatier Paul A Young, and receive 20% bath and body products from Bamford Grooming Department. Check the website for pop-up event dates..
added extras: Royal Exchange is welcoming warmer weather with a series of summer pop-up events. The inaugural Aldgate Square Festival is paying homage to East End’s Jewish roots with performances from a local klezmer band and a food stall from Spitalfields’ answer to a traditional New York deli. 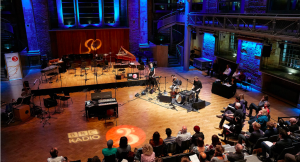 The Klezmer Klub will regale the festival with a diverse repertoire of traditional Yiddish music, from love ballads to political anthems and songs about working class life in the old East End. Work up an appetite, then head to Monty’s Deli stall for traditional delicacies like salt-beef and pastrami and what is widely lauded as the best reuben sandwich in London. Flabbergast Theatre presents a visceral and vibrant version of Shakespeare’s classic. Implementing their award-winning experience in physical theatre, puppetry, stage combat, clowning and mask work, Flabbergast demonstrates a rigorous approach to verse and storytelling. 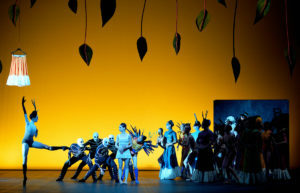 With exceptional live music and bespoke human voice effects performed live by the ensemble, this production truly evokes the tragedy of the Scottish king. The World Illustration Awards exhibition returns to Somerset House this summer, showcasing the best work by international emerging and established illustrators. The exhibition features all 200 projects shortlisted by a jury of industry professionals, alongside in-depth presentations of each category winner. For the first time, this year’s exhibition will feature the work of legendary illustrators, including Quentin Blake, who have an enduring influence on the industry. Accompanying the exhibition will be an events programme of talks, industry masterclasses and family-focused events in collaboration with Walker Books. Full schedule available online. After releasing their debut album Good Feeling in 1997, Glaswegian band Travis went on to achieve worldwide success, and their 1999 Nigel Godrich-produced album The Man Who spent 11 weeks at No1 on the UK Album Charts, selling nearly three million copies. The band went on to win a number of accolades, including BRIT Awards for Best British Band and Best British Album, and Ivor Novello Awards for Best Songwriter and Best Contemporary Song for Why Does It Always Rain On Me?, which became one of the band’s most iconic songs. Support comes from esteemed London four-piece Turin Brakes, fusing folk and indie rock. The first night is sold out but tickets for the encore are still going. A community event organised by local residents for local residents. Now in its 16th year, revellers can expect to be greeted by a packed bill, featuring live music from the Guildhall Jazz band and Metropolitan Brass Band, a mini petting farm, arts and crafts, pottery workshops, soft play area, table football, storytelling sessions and a magic show. The usual array of refreshments, including a halal BBQ, will also be on offer, just keep your fingers crossed that the fine weather continues to shine down on the festivities. Thousands of negatives by American photographers were systematically destroyed in the 1930s; these irreparable images were known as ‘killed negatives’. In order to expose American rural poverty, the Information Division of the Farm Security Administration commissioned photographers to record the struggles of life following the Great Depression. The negative of each rejected image was punctured with a hole puncher; if a print was made the image would feature a black disc, floating surreally over faces and landscapes. This display presents prints made from some of the rejected negatives as well as photographers’ personal and administrative records. Also included are contemporary artists’ responses to these haunting images. The photographs transform an act of censorship into abstract, conceptual and strangely beautiful pictures.